“It’s sad that GlidePath Development has taken this approach today. GlidePath Development has not offered any project cost information or a viable proposal to Upper Michigan Energy Resources Corporation or the Michigan Public Service Commission, despite numerous opportunities to provide an alternative during this process. Their study describing the purported added costs for our project is not “independent” or correct. The study was paid for by GlidePath Development in order to push their ideas – including a project that would not meet Cliffs Natural Resources and our other customers’ needs. MARQUETTE — A proposal by Upper Michigan Energy Resources (UMERC) to finance and build new natural gas-fired power plants in Michigan’s Upper Peninsula (U.P.) would overcharge ratepayers by more than $372 million over the life of the project, according to an independent analysis of UMERC documents filed with the Michigan Public Service Commission (PSC). The analysis by the Indiana-based Power Bureau finds that UMERC’s cost recovery plan unfairly and disproportionately forces residential and small business customers to pay 73% of the costs for the proposed project even though they only use about 35% of its power. The Tilden Mine would receive the majority of the power (65%) and its electric costs would be effectively subsidized by residential and small business ratepayers under a closed-door deal between UMERC and Cliffs Natural Resources (owner of the Tilden Mine). Additionally, rather than pursue the most reasonable and prudent alternative as required by law, UMERC failed to consider a similar and significantly less expensive proposal submitted by a private developer. Nor did they use a competitive bidding process to ensure consumers were protected. The net result is that over the 30-year life of the project, U.P. consumers would be socked with $372 million in higher costs – more than $10,000 for every UMERC customer – for power plants that UMERC’s own staff admitted were not needed to support non-Tilden consumers in the region. The Power Bureau analysis of UMERC’s PSC filing finds that the Tilden Mine will consume 65% of UMERC’s power, but will only pay 27% of the rate-base costs over the next 30 years. UMERC claims Tilden is paying ½ of the projects’ price tag, but that is only true for a portion of the initial costs. Under the special arrangement UMERC negotiated with Tilden, residential and small business consumers will pay 73% of all new rate-based costs for the project – forcing consumers to pay $297 million more than if costs had been distributed according to power consumption. For example, residential and small business consumers will pay 100% of the property taxes, 100% of gas pipeline costs and approximately 90% of administrative and general costs associated with the new power plants. UMERC’s “special” proposal was developed behind closed doors in 2016 by UMERC and Cleveland-based Cliffs Natural Resources. While state law requires UMERC to consider only the most financially reasonable and prudent options, UMERC failed to do so. In fact, UMERC did not even request competitive bids from experienced private sector power plant developers before submitting its Tilden proposal to the PSC. Private developer GlidePath Development provided a proposal to build 60 MW of electric generation (about 1/3 of the UMERC project) using the same technology specified by UMERC. GlidePath’s proposal would save consumers more than $74 million according to details in UMERC’s filing. The table below shows how UMERC’s failure to consider proposals from any other private company in its submission to the PSC needlessly increased consumer costs. 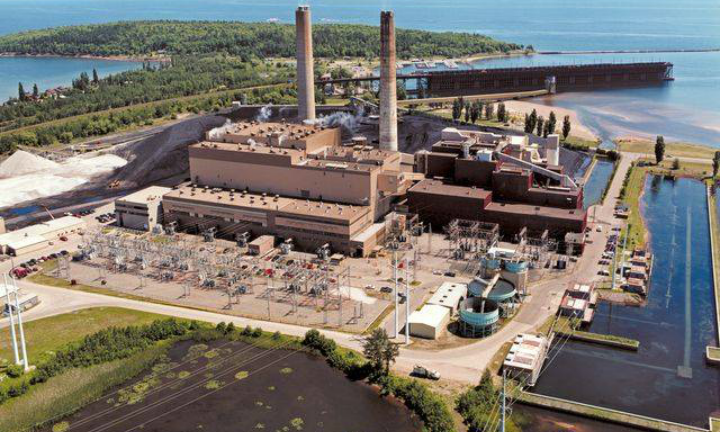 Before UMERC can raise electric rates to pay for the new plants, the PSC must grant a Certificate of Necessity that affirms UMERC’s proposal represents the “most reasonable and prudent means” of meeting the Upper Peninsula’s power needs. Consumer, business and environmental advocates have formally intervened to object to the UMERC proposal, citing the impact to consumers and businesses and the utility’s responsibility to consider lower-cost alternatives. The Public Service Commission is expected to announce its decision in the next 2-3 months. For more information and a link for the public to express their concerns can be found at www.FairPowerUP.com. The independent analysis was performed by the Power Bureau, an Indiana-based consultancy that advises municipalities (including the City of Chicago and dozens of smaller cities and towns), institutions and project financiers in the energy sector. The analysis was developed from publicly available data from UMERC and data on its own project provided by GlidePath Development. The Power Bureau is led by energy consultant Mark Pruitt, former head of the Illinois Power Agency. The analysis was commissioned by GlidePath Development.